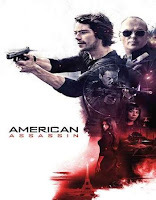 American Assassin 2017 | FunToMovies 300 Movies '+g+"
Story line: Twenty three-year-old Mitch lost his parents to a tragic car accident at the age of fourteen, and his girlfriend to a terrorist attack just as they were engaged. Seeking revenge, he is enlisted by CIA Deputy Director Irene Kennedy as a black ops recruit. Kennedy then assigns Cold War veteran Stan Hurley to train Mitch. Together they will later on investigate a wave of apparently random attacks on military and civilian targets. The discovery of a pattern in the violence leads them to a joint mission with a lethal Turkish agent to stop a mysterious operative intent on starting a world war in the Middle East..